In a new twist on ‘impact investing,’ investors are paid a return if social programs hit their target. Impact Investing-using private funds to achieve social benefits along with financial returns-has been growing over the past five years, and one recent technique in particular shows promise. It's called Pay for Success, and it allows investors to fund experimental health and social programs by betting on their effectiveness-with no downside for tax payers. Here's how it works: A government agency contracts with an intermediary-such as the nonprofit Social Finance US-which in turn contracts with the non-profit groups that will deliver the planned services. 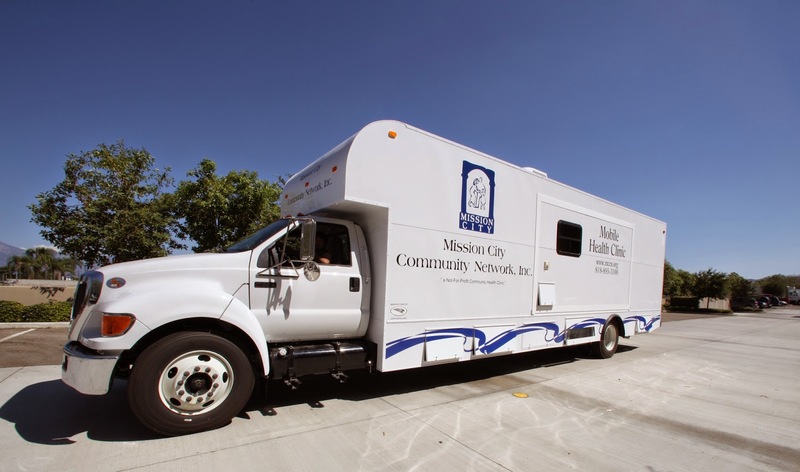 Many of these services includes mobile health programs provided by special vehicles. The intermediary also recruits investors, who fund the program. If the program achieves its specified outcomes, the government agency pays back the investors, plus an agreed-upon return. If the program fails, the investors swallow the loss. An independent evaluator verifies the outcomes. Pay for Success has attracted financial heavy-weights such as Bank of America and Merrill Lynch, and philanthropies such as the Rockefeller Foundation. It is being applied to programs as diverse as the management of asthma patients, child welfare and education. In the fickle world of government and philanthropy, a program's success is no guarantee that its funding will be renewed-yet ineffective programs may keep drawing dollars for years. Pay for Success financing aligns the incentives of private investors, government and non-profits to fund innovative programs, to ensure they are rigorously evaluated, and to cut off the ones that don't work. Suppose a Pay for Success program provides services to keep families together after incidents of child abuse, with the goal of reducing the number of children entering foster care. With that goal in mind, service providers might leave children in dangerous situations. So service providers generally should be held accountable only for implementing the program, and not receive any outcome based payments. The organizations that evaluate Pay for Success programs must remain completely independent of investors and non-profit service providers. The outcomes of programs also should be as objectively measurable as possible. Recidivism is a good example. There is no wiggle room on whether someone has been rearrested after release from Jail or prison. The Utah High Quality Preschool Program Is a Pay for Success project that provided intensive services to preschool children in 2013-14 to reduce their need to participate in special education. Testing identified 110 of the children as likely to need special education, but thanks to the program, only one child actually did. The public-school system saved about $2,600 for each of the 109 students that did not need special education. Of these savings, 95% was returned to Investors. After the original investment is repaid with 5% interest, investors will keep 40% of any additional savings in later years. Not all Pay for Success programs will work. A New York City partnership with Goldman Sachs GS-0. 77°/c that began in 2012 and concluded this year missed its target for reducing youth recidivism. Investors lost their money, but the city declared the effort a success. It was: New York got to run a valuable experiment without shouldering the cost.